Is Internet dangerous? Well, yes we know all the hazards of spending all the work hours behind monitor screens, browsing the web at home, doing social networking, playing online games, watching YouTube, staring at smartphone little displays or for whatever reasons we sit above our keyboards most of the time every day. And I don't mean potential medical issues inherited from too long sitting on the chair or everyday looking into LCD. I also don't mean the obvious social and/or physiological outcomes from letting the virtual world to take over the real one for more and more people every day. No, I mean the real danger. Did Internet overcome the pure network system and became a tool for mass destruction or a background tool for criminal activities? Can someone use the internet to hurt somebody or to perform a murder? Either directly or indirectly? Can some organisation, country or corporation use it to start a war? I mean wars in the past were beginning by more trivial things than by one global network. There was one war in the year of 1969, between El Salvador and Honduras, initiated by a football game. True story. Google it. You can relax. Internet is still far for being a player. Or a rifle. It is getting sophisticated by the day but currently it is still lacking two things to become something more than just a network. Two things, that are in development as we speak. And yes. You can stop relaxing now. Internet IS going to be potentially capable and very dangerous when these two things become reality in the future. Very near future if you ask me. And one of those two even doesn't have to be perfect. Like any other internet thingies, they have cool acronyms. AI and IoT. First one will provide internet to be self-aware.. or.. with simple words to start thinking. It means 'Artificial Intelligence', of course, and even though current development is far away to create a real replacement for a human mind, some sort of NAI (Near AI) will be sufficient to act independently in many occasions. NAI is not real AI. It is rather a complex logic that emulates thinking behavior in some spacial scenarios with predefined and predicted all or most of all directions and events. For example current two operational robotic rovers on Mars, Curiosity and Opportunity, are capable to drive on their own by their operating software. Or here on Earth, many metro systems in large cities are operated by complex control and fully automated, without humans behind train controls. Something like in this embedded video was unthinkable only couple of decades ago. To be honest, true AI, is not really a real threat. Even if science and technology build an AI entity tomorrow with certain dose of emotions and reason, it will be just another child in the neighborhood. True danger in the background of the global worldwide web is only programmer's anticipation and powerful IF-THEN-ELSE command. And we have both today. AI being a mad mastermind of the future is not needed. The only thing preventing Internet to be dangerous today is still early phase of IoT. "Internet of Things". Think of it like this - if you have brains and no body and senses you are as good as conductor without orchestra. This is the inevitable part for the future Internet. It will get a body and wide variety of sensing abilities. Basically, until now, IP addresses are reserved for devices with brains, or CPU units if you will. Home computers, business servers, phones, tablets, smart TVs and micro controllers are happy units today with internet access and proud owners of IP address. The trend is for tomorrow that all technology based devices get online too. Remote controllers, motion sensors and any type of sensing converters, home and kitchen appliances, cars and any types of vehicles, industry tools, medical sensors, 3D printers, clothing items, literally anything at all will be able to get a 'smart patch' and allowed to be monitored or controlled over the internet. Think of this futuristic network from today's Google and Android smartphones perspective. If you are user of Google network and devices (like I am, and this is just an example, the same goes for other providers and internet giants), from their databases (and I am not saying that they are doing it), it's possible to know what are you browsing to the simple detail by your usage data in searching the net and history of your browser, who you are following on social networks by which timeline or wall pages you are opening the most, what you like and dislike, what are your watching habits by your YouTube statistics, how your life looks like in writing by your usage of Blogger and all your whereabouts of your Android smartphone by Google Timeline. Not to mention that they have access to all of your online photos, videos and files by your usage of all of their services and cloud storage. Oh, yes, and they have all your passwords you typed on various websites. Google is not even on the top of potential 'smart' providers with access to your, well, everything. If you are user of, for example Microsoft or Apple, and their operating systems, then they are able (and again I am not saying they are doing it) to know and have access to your localized data that is not clouded online. The story continues into business environment further. If you are proud owner of a racks of servers in some cool data storage building and you didn't write all the software and used so called 'third party' code, the simple fact is that you are not the only one with potential access to all of your racks. And you are not the only one capable to monitor all the network traffic. Those who manufactured network cards can do it too. Again, I am not saying that big internet corporations are doing all those spying and sniffing people and other entities online, just that if they wanted to, it would be technologically possible. Anyhow, all the worries of today's digital world end with privacy concerns. If you are a villain criminal or a mad hacker all you can do is to stole somebody's identity data and log into other's accounts for whatever malicious reasons you would do that but you can't physically and directly harm somebody. 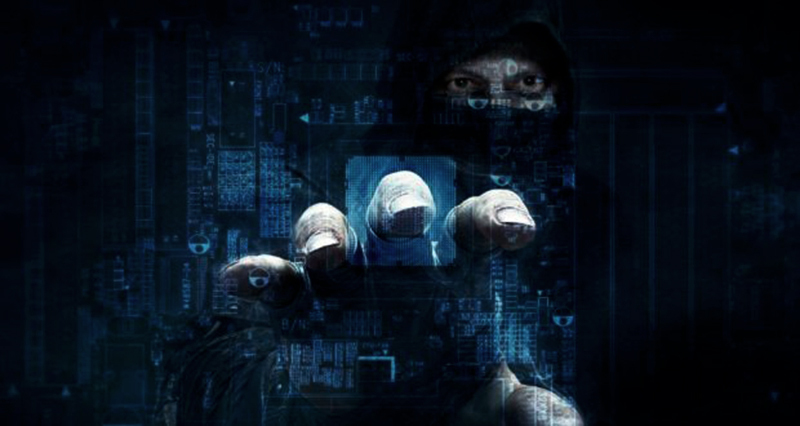 In the past I have these encounters with online thieves and one of them who cracked my password, logged into my dial-up account and used free internet for a while until I went physically to the internet provider and overrode him for good. After that experience I am creating complex passwords and in couple of occasions so complex that even I forgot them after few weeks. I guess, now is as good time as any to thank to all those "Forgot you password?" links standing timidly next to login forms. However, Internet of Things will have the power to end all of those 'benignity' of today's online world. Smartphones will not be the only systems with 'smart' prefix. I am imagining all the varieties of SmartHomes, SmartCars, SmartShips, SmartRoads, SmartOffices, SmartFields, SmartTraffic, SmartEnergy, SmartPolitics... Ok let's not pushing it. Some things will never happen.. Nevertheless and seriously speaking, even though this post looks like I am against the future breakthrough in the Internet size and means, many of IoT based gadgets will be extremely helpful. Think of the future SmartForest with many embedded fire sensors and surveillance intelligent cameras or SmartHealth gadgets actively monitoring your health signs alarming anything potentially hazardous either from your body within or by sensing bad food or air or any types of toxins in your near proximity. Surely every bright medal has the opposite side and with possibility to access all the gadgets online and controlling them from the distance I am more than positive that we will be facing with SmartViruses as well and stilling just people's passwords to access their mailboxes or bank accounts will be completely dwarfed by the online crime of entering somebody's house system and start leaking gas while everybody is sleeping. I am not quite sure that Internet of Things will exactly be "The Fourth Industrial Revolution" but in one way or another after decade or so of transition years, it will be our everyday's reality and the next generations will embrace it and take it for granted just like we do with our current technology surroundings. Or our fathers and grandfathers and their lives within old fashion telegraphs, radio and CRT television sets. Or their fathers and grandfathers with newspapers and books. Anyways, we will be dealing with IoT when it happens and I am sure I will be writing about it in general or in specifics on this blog or elsewhere in the future but today I only want to end this story with recommendation of one great related novel. 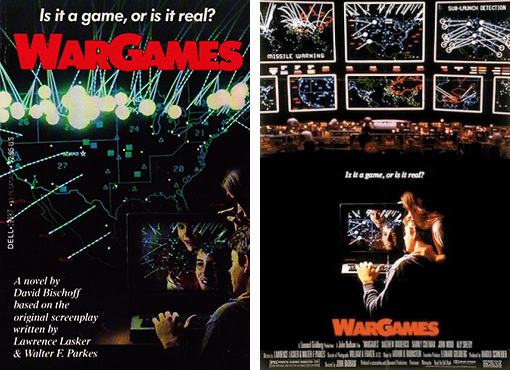 About thirty years ago I was watching WarGames on one of my first VCRs and it instantly became one of my favorite film. I was more or less in the same age as Matthew Broderick back then in middle 80-ies when he played lead role in the movie and needless to say I spent numerous hours watching it again and again and even read the David Bischoff 's book based on the original screenplay and enjoyed it all the same. At least for me, it was definitely an influencing book of the decade. 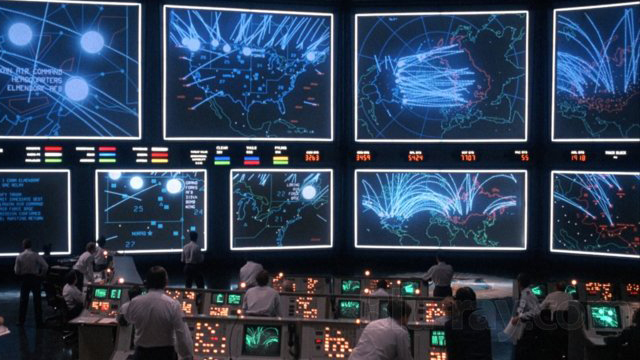 Every now and again in previous thirty years, after the WarGames, I was wondering why no decent book or movie was made to represent real successor of the original story only in realm of nowadays Internet instead of WarGames' military background. 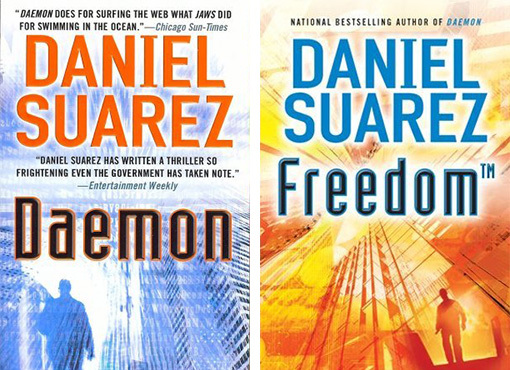 And after three decades, finally, last week on friend's recommendation I purchased Daniel Suarez's "Daemon". In the 'book' thread of the blog I reviewed many titles without much of a spoiler and to continue in the same fashion, all I can say, is that it's one of those books you hate to leave and as being very close to the end I don't see what would happen to force me not giving it full five stars. "Daemon" is exactly what I was expecting after WarGames. I read that Walter F. Parkes, co-writter of original WarGames screenplay and producer of Man in Black movies, was interested in producing the movie for the "Daemon" and its sequel "Freedom" (or "Darknet" with some editions) but this is still in "the clouds", probably due to extremely technical plot and twists. Perhaps, "Daemon" is more suitable for a mini-series or sci-fi TV Show.. Time will tell. As for me, my time in near future is locked and reserved for "Freedom", eagerly waiting in my Kindle's memory. With same enthusiasm, I am embracing not-so-near future full of "Internet Things" and what they will bring to our technocracy.